Bingo Chat games are a way for you to have a much more social online bingo playing experience, for you will have the chance of not only chatting to other players via the chat room but you can take part in a range of chat room exclusive bonus bingo games too. 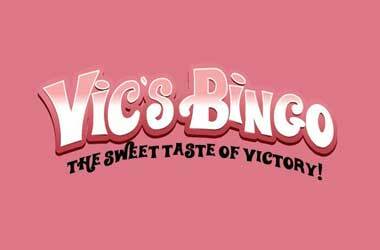 One of the very best bingo sites famed for their nonstop online Chat Bingo games is Vic's Bingo who have just launched a brand new range of five additional chat bingo games, all of which you will find an overview of below. Also keep in mind that new players and existing players at Vic’s Bingo are very well looked after in regards to bonuses and promotional offers, so your bingo playing bankroll and budget will always go much further when playing there! Hot Seat – The first new bingo chat game on offer at Vic’s Bingo is the Hot Seat game, when taking part in one of those games you will be required to pick a number between one and seventy five, as soon as you see that number called out you must stake your claim to the prize via the chat room! Dodge Ball – This bingo chat game will see you running the risk of being knocked out of the chat room game, however you will first have to select your own preferred Dodge Ball number and wait for it to be called out of the bingo machine in the hope you are then the last player standing in which case the bonus chat bingo game will be all yours! Match Game – You will stand a very fair chance of picking up a bonus prize when playing the Match Game bingo chat room game, for you simply need to pick a number from 0 to 9, and when any number is drawn out ending in that number you must claim your prize via the chat room, the number of other players doing the same will determine the value of your prize! Coin Collecting – The Coin Collecting bingo chat room game is much like the game above, however you have to pick your chosen number then as soon as two numbers have been called out ending in that number you much then go on to stake your claim to a share of the prize via the chat room! Monkey in the Middle – The final new bingo chat room game you can play at Vic’s Bingo is the Monkey in the Middle game. When playing in this profitable bingo game you are tasked with picking one of the numbers that are position in the N row of any card. Once your lucky number has been drawn out of the bingo machine you have to claim in the chat room to be awarded with your prize!